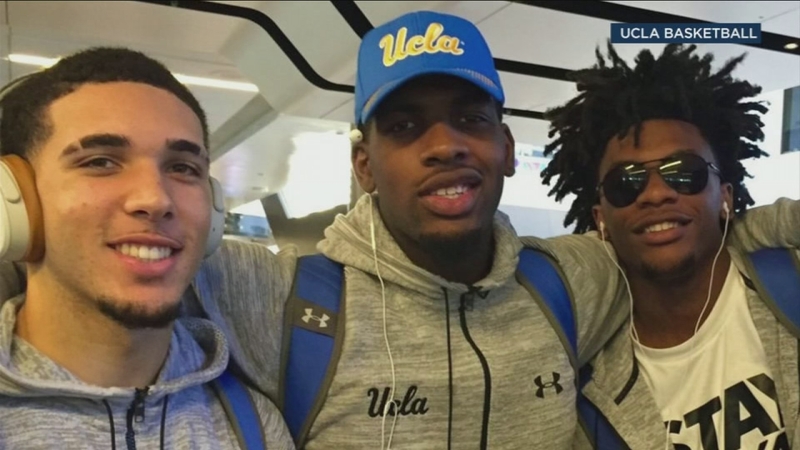 WESTWOOD, LOS ANGELES (WPVI) -- The UCLA men's basketball team arrived at Los Angeles International Airport Saturday night, but were three players short as they remained on house arrest in China. Coach Steve Alford did not want to comment on their arrest. But UCLA students who spoke with KABC frowned upon the players' suspected shoplifting.